Southern Baptist Convention Votes To Condemn White Supremacy : The Two-Way Members of the denomination criticized an earlier decision not to vote on the resolution while condemnations of gambling and Planned Parenthood were considered and approved. The Rev. 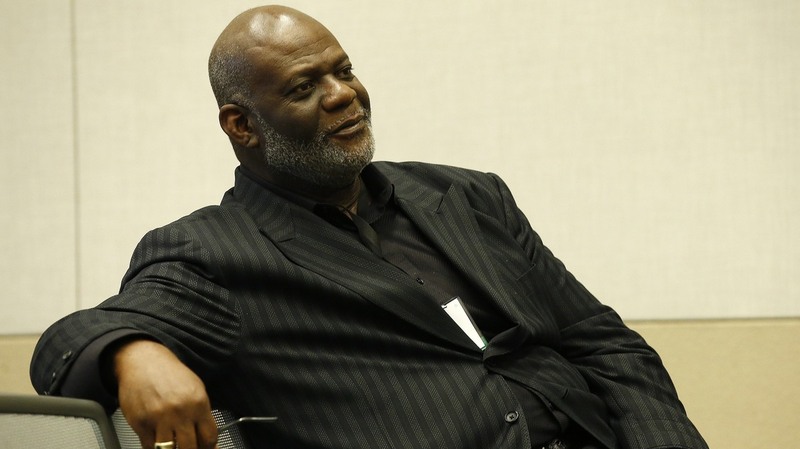 William McKissic whose resolution to condemn white supremacy was passed at the Southern Baptist Convention annual meeting on Wednesday in Phoenix. The Southern Baptist Convention voted to formally "denounce and repudiate" white nationalism and the alt-right movement at the church's annual meeting Wednesday, but only after the denomination's leadership was criticized for initially bypassing the proposal. The resolution decries "every form of racism, including alt-right white supremacy and every form of racial and ethnic hatred as of the devil." There was a standing ovation in the crowded convention room in Phoenix after the resolution was passed. Southern Baptist leaders had declined to consider the resolution the day before, saying they were concerned that the proposed language was too strong. The decision was met with confusion and anger from members of the denomination and the public. And it highlighted divisions in the roughly 15 million member denomination that surfaced during last year's election. "We regret and apologize for the pain and the confusion that we created for you and a watching world when we decided not to report out a resolution on alt-right racism," Barrett Duke, the resolutions committee chairman, told the gathered crowd of about 5,000. "Please know it wasn't because we don't share your abhorrence of racism and especially the particularly vicious form of racism that has manifested itself in the alt-right movement. We do share your abhorrence." The original resolution was brought by Dwight McKissic, an African American pastor in Texas. He urged the Southern Baptist Convention to "reject the retrograde ideologies, xenophobic biases, and racial bigotries of the so-called 'Alt-Right' that seek to subvert our government, destabilize society and infect our political system." The resolution did not originally get approved by a committee while several others, including condemnations of gambling and Planned Parenthood, did. McKissic told The Atlantic it was "a mystery how you can so easily affirm standard beliefs about other things, but we get to white supremacy ... and all of a sudden, we've got a problem here." The move was criticized by Southern Baptist members and pastors on social media, including Trillia Newbell. Newbell is an author and the director of community outreach at the denomination's Ethics and Religious Liberty commission. She's also African American. "Was I hurt? Absolutely. Was I discouraged? Yes," she says. But she says she's encouraged by the denomination's resounding approval of the amended resolution. "I think it's important that we take every opportunity to denounce and set ourselves apart from anything that is racist or alienates our brothers and sisters in Christ who are people of color, especially given our history," she says. The Southern Baptist Convention has taken steps to distance itself from that history. The convention was created in 1845 after it split with northern Baptists over the issue of slavery. In 1995, the convention apologized for its role in sustaining and promoting slavery. Ten years later, in 2015, it passed a resolution supporting racial reconciliation. Newbell says she's heartened by those moves and the denomination's decision to condemn white supremacy. "But have we arrived?" she asks. "No." Michael Radcliffe contributed to this report.